With summer and the sun beating on our doors, be ready to take on the season with vacations and family barbecues! We have what you need to make your events special! 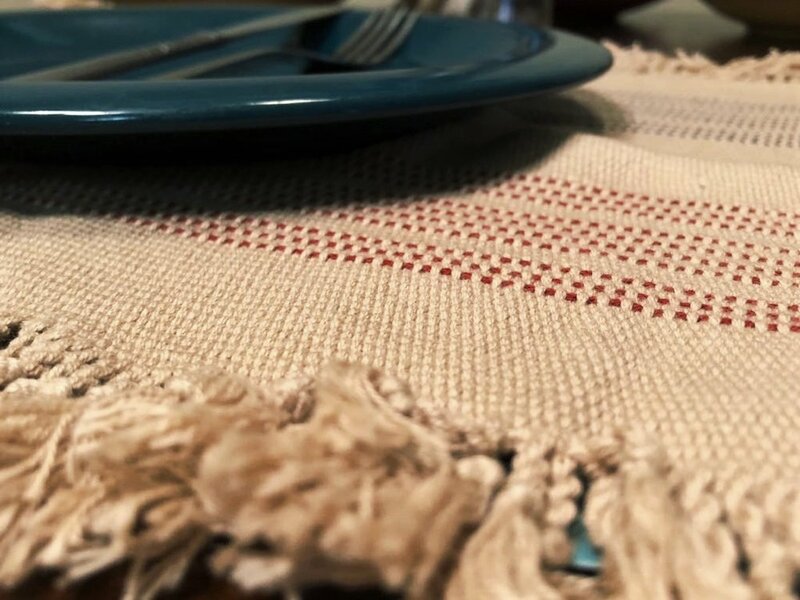 Our handwoven placemats and napkin sets will add color and fun to your table settings in these sweltering months, with multiple shades and textures! They make a perfect table accent for those patio soirees. Let's not forget about the kitchen, where all the magic happens! The artisans have worked hard to create unique tea towels. They are handwoven and made of 100% Egyptian cotton, ensuring strength and durability along with their beauty. Each towel is pre-washed and shrunk, so you can feel free to clean them in the washer and dryer. The striped accents come in a multitude of colors that will add a subtle pop of color to your kitchen or even bathroom! Our home decor line is small but expanding, with exciting projects in the works! If you find yourself shopping and not finding exactly what you're looking for, we also do custom orders ensuring you will find the perfect piece for your home. For updates on new products, events and more make sure to follow us on social media today!